National Handwriting Day is January 23! Celebrate with us as we reimagine handwriting and embrace positivity in 2018 with our month-long National Handwriting Day celebration featuring random handwritten notes of kindness and positivity. 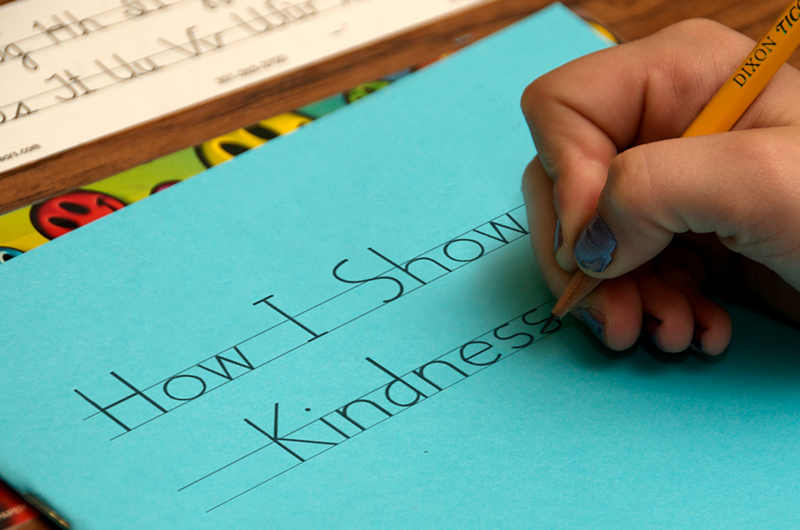 Since handwriting is so important to us and to the success of K–5 students, we are extending the celebration throughout the month of January until February 17th, National Random Acts of Kindess Day as we reimagine the way we communicate in 2018 and teach children the importance of kindness and the power of a handwritten message. To participate in the celebration, submit pictures of your students’ handwritten notes of kindness on our Facebook, Twitter, and Instagram pages using hashtag #LWTHandwritingDay. Three random winners will be chosen out of participants and will receive special prizes featuring our new editions and HITT: Handwriting Interactive Writing Tool! Although we celebrate the importance of handwriting every day, we are dedicating the month of January to this special handwriting celebration! Start spreading the kindness and positivity with us by submitting pictures of your students’ handwritten notes of kindness now and take a peek at the handwritten messages of kindness we’ve already received to join us in our National Handwriting Day celebration. By Kathryn FoxKathryn received her Bachelor of Arts in Writing, Rhetoric, and Technical Communication from James Madison University. She is an experienced editor, copywriter, and technical writer and has worked for the government and in the IT, music, and telecommunications industries. She is currently a writer and editor for Learning Without Tears and loves providing content that empowers young writers and teachers. Kathryn lives in Arlington, Virginia with her best friends. Learn handwriting tips, tricks, and techniques to help your students learn faster and have even more fun using our products. Get the latest delivered to your inbox.